через 6 д. 12+ шт. Bridgestone 4х4 Dueler H/P Sport 285/45 R19 V 107 1 шт. Bridgestone Alenza 001 285/45 R19 XL W 111 2 шт. Bridgestone Alenza 001 285/45 R19 XL W 111 12+ шт. Bridgestone Turanza ER30 285/45 R19 V 107 12+ шт. Continental ContiCrossContact UHP 285/45 R19 W 107 12+ шт. Continental ContiCrossContact Winter 285/45 R19 XL V 111 9 шт. Continental ContiSportContact 5 285/45 R19 W 111 12+ шт. Continental ContiSportContact 5 Run Flat 285/45 R19 XL W 111 12+ шт. Dunlop SPTMAXX 050+ 285/45 R19 XL W 111 5 шт. Goodyear Eagle F1 Asymmetric 3 285/45 R19 W 111 4 шт. Goodyear EAGLE F1 ASYMMETRIC SUV RUN FLAT 285/45 R19 W 111 10 шт. 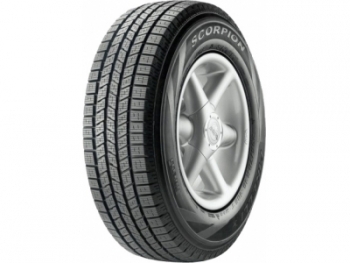 Goodyear EAGLE F1 ASYMMETRIC SUV RUN FLAT 285/45 R19 W 111 8 шт. Hankook Ventus S1 EVO2 K-117А 285/45 R19 W 111 10 шт. Hankook Ventus S1 EVO2 K-117А 285/45 R19 W 111 2 шт. Kumho Crugen HP-91 285/45 R19 W 107 12+ шт. Marshal Crugen HP-91 285/45 R19 W 107 4 шт. Marshal Crugen HP-91 285/45 R19 W 107 12+ шт. Matador MP-47 Hectorra 3 285/45 R19 XL Y 111 12 шт. Maxxis Bravo HP-M3 285/45 R19 V 107 12+ шт. Maxxis MA-Z4S Victra 285/45 R19 V 111 2 шт. Michelin Latitude Sport 3 285/45 R19 XL W 111 12+ шт. Michelin Latitude Sport 3 ZP Run Flat 285/45 R19 XL W 111 8 шт. Michelin Latitude Sport 3 ZP Run Flat 285/45 R19 XL W 111 1 шт. Nexen NFERA RU5 285/45 R19 V 111 1 шт. Nokian Hakka Black SUV 285/45 R19 XL W 111 1 шт. Nokian WR 3 SUV 285/45 R19 XL V 111 4 шт. Pirelli P Zero Rosso Asimmetrico 285/45 R19 W 107 2 шт. Pirelli P Zero Rosso Asimmetrico 285/45 R19 W 107 12+ шт. Pirelli Scorpion Verde Run Flat 285/45 R19 XL W 111 12+ шт. Pirelli Scorpion Winter 285/45 R19 XL V 111 2 шт. Roadstone Roadian HP 285/45 R19 XL V 111 3 шт. Toyo Proxes T1Sport 285/45 R19 W 107 2 шт. Yokohama V103 285/45 R19 Y 107 12+ шт. Yokohama W.Drive V902 285/45 R19 V 111 1 шт.